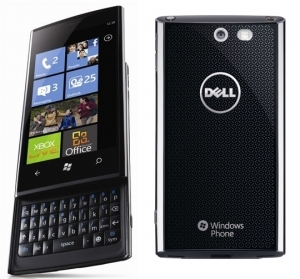 Dell to release Android version of its Windows Phone 7 Venue Pro | Android Blast! PCWorld is reporting that Dell will release an Android version of their upcoming Windows Phone 7 device that's headed for T-Mobile. The Dell Venue Pro has a sliding design much like the Palm Pre and BlackBerry Storm, with a full portrait QWERTY keyboard. The Venue Pro runs a 1 GHz Snapdragon processor with 1 GB ROM with 512 MB RAM. It includes a 4.1 WVGA AMOLED capacitive display and a 5 megapixel camera with flash and autofocus.